Across the world, and especially in Europe, the wolf is making a comeback after centuries of persecution. Likewise, interactions and encounters with humans are on the rise. Such interactions mostly lead to so-called human-wolf conflicts, especially when wolves attack livestock. 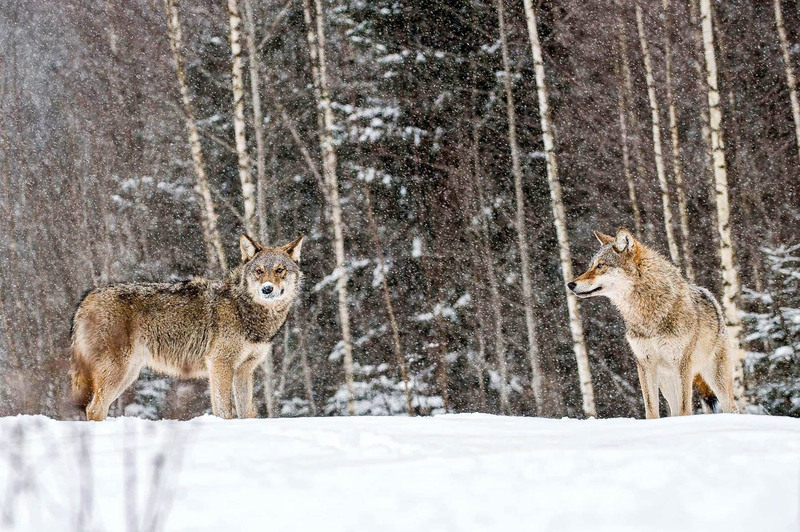 Living with the wolf is possible, but it requires a better understanding of the conflict. This article is guest written by Isabeau Ottolini, who did her MSc thesis on the role of communication in human-wolf conflicts in Spain. All over the world, people are making huge efforts to solve human-wolf conflicts. Ideally, we want to live in a conflict-free world where humans and nature live peacefully alongside one another. However, despite countless articles, policies and initiatives, the human-wolf conflicts are rarely completely solved. Isabeau Ottolini wondered why, addressing this question for her MSc Thesis at the Wageningen University. Ottolini found that, not entirely unexpected, communication plays a critical role in conflicts. The relation between communications and conflicts, is based on the idea that a conflict is like a fire. In a conflict, different actors communicate with each other, both through words and actions. As long as people are on the same page, a conflict will unlikely emerge. But when actors communicate beliefs and ideas that clash with those of others, often strong emotions become involved. This because everyone considers their point of view as the only valid one and will defend it. Precisely such heated communications serve as fuel to the conflict. So the more emotionally people communicate about a topic, like human-wolf conflict, the more the fire is fuelled. This makes it burn longer and hotter, and complicating its resolution. In her thesis, Ottolini conducted research on the human-wolf conflict in Redes Natural Park, Spain. The park is located in an area where livestock herding is a challenge for many farmers. This sometimes leads to hostile attitudes against wolves, while at the same time, other people ferociously try to protect the wolf. During her research, Ottolini spoke with many people involved in the human-wolf conflict. This included biologists, rangers, hunters, shepherds, journalists, and politicians. It appeared that the classic view of human-wolf conflicts, being mainly about wolves attacking livestock, is no longer adequate. The present conflict has transformed, both in size and content, as the communications about it have changed. Nowadays, more people talk about the conflict. Even people living far away, who do not have to coexist with wolves and / or have never seen a wolf. Additionally, the media covers the topic on a regular basis, mainly highlighting the negative stories. As a result, people perceive the conflict to become a more and more problematic issue. the role of politics and media. Lastly, solutions to the conflict have changed. In the past, solutions were local and integrated with traditional livestock practices. However, nowadays proposed solutions come from further away, often by people who have little experience with rural realities. Additionally, many solutions fail to address the bigger societal issues. In consequence, people are strongly for or against proposed solutions, and emotionally communicate about it. The result? The conflict becomes fuelled even further. Altogether, the human-wolf conflict is thus difficult to solve. So, if solutions to the conflict do not solve it, how should we deal with human-wolf conflicts? Ottolini describes the importance of reflecting upon how we interact with each other. We all should recognise our power to steer the conflict, through how we communicate about it. Furthermore, we could try to acknowledge other ideas and experiences, even if these do not always fit with what we think is true. Additionally, we have to rethink our relation with conflicts. Conflicts are not always bad, but can actually play an essential role in society. For example, conflicts can help to express underlying tensions, contribute to democracy, and even awaken creativity. Instead of focussing on totally eradicating conflicts, we could focus on how to coexist with them and accept conflicts with both its good and bad sides as a part of life. Rila Wilderness – New Publication! Another confirmed observation of Golden Jackal in the Netherlands?